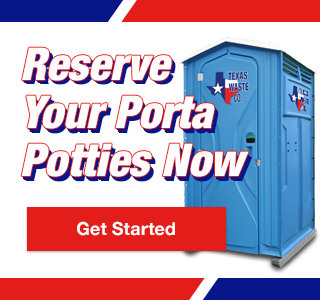 Industry Focused Porta Potty Rental | Texas Waste Co.
Because every industry is different, Texas Waste Co. offers an array of Houston porta potty rental solutions that not only improve and preserve proper working conditions but meet strict state and federal guidelines as well. Industrial plants choose our industrial restroom trailers and industrial hand wash stations because they exceptionally accommodate their unique standards and work environment. Agriculture/farming sites are held to the most strict health and sanitation guidelines and therefore, require that property management be vigilant in their efforts to keep working conditions clean. Texas Waste Co.‘s porta potty rentals are up-to-code and regularly maintained for optimal sanitation throughout the duration of your rental agreement.